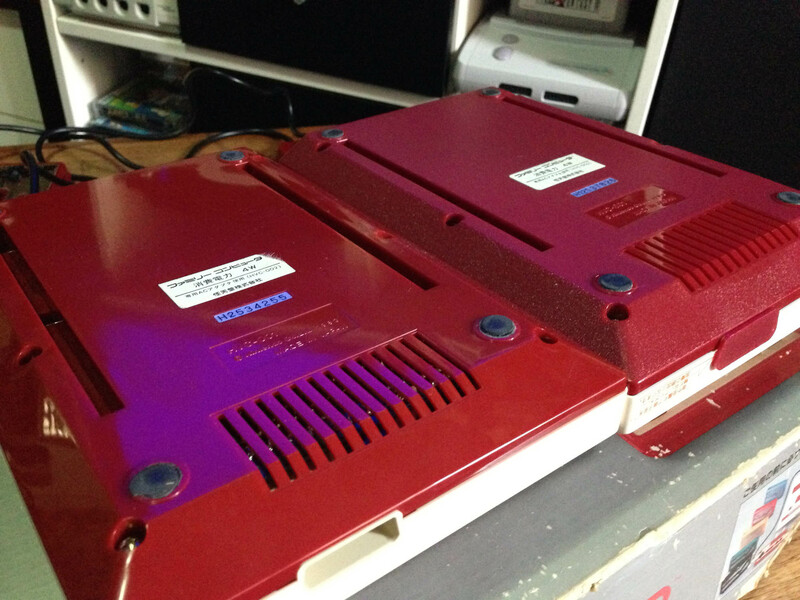 Console Restoration – Nintendo Sega Japan! 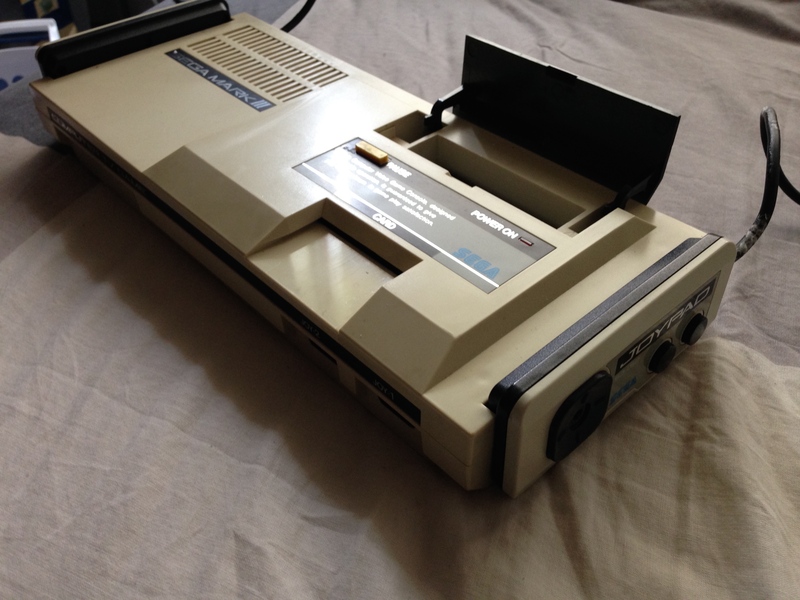 Paying attention to eBay auctions can get your some cool stuff. 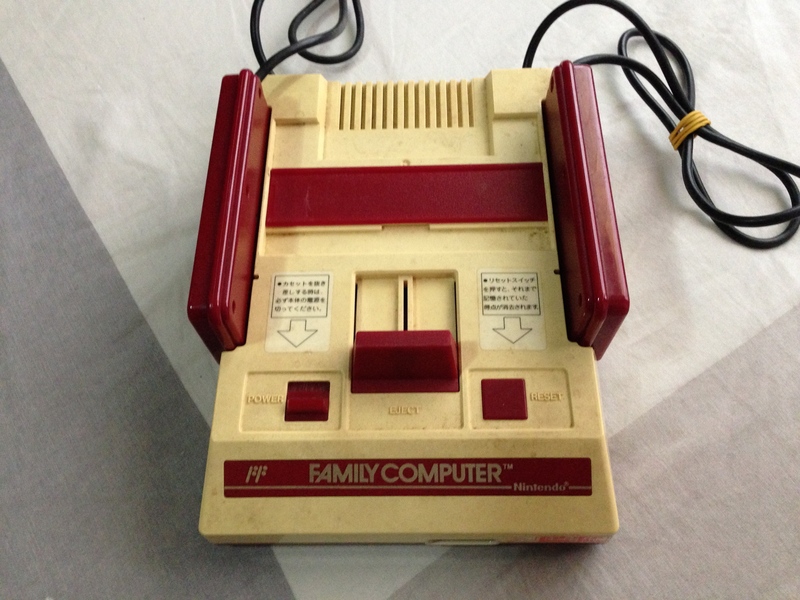 This Famicom was listed with just a picture of the box as the main image. 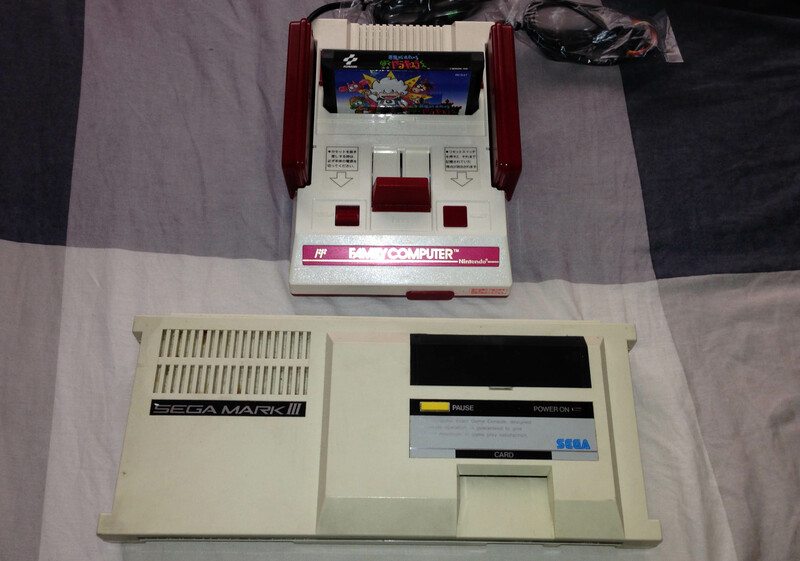 One tiny detail stood out to me, so I bought it (for a quite low price). 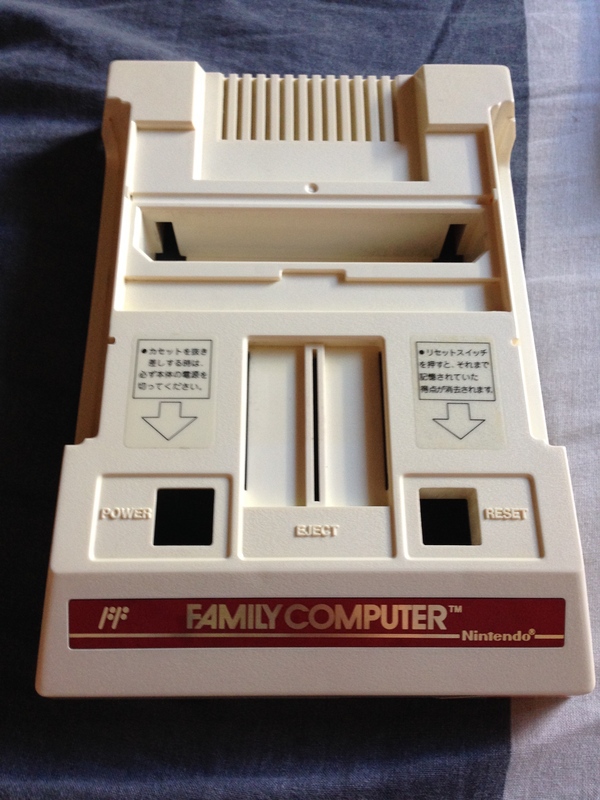 It’s an original model of the Family Computer from either 1983 or possibly early 1984. 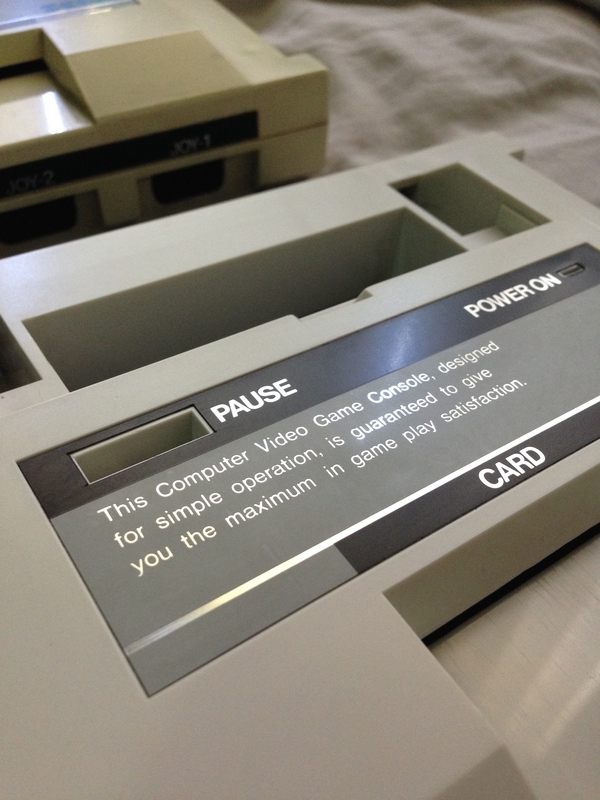 It features square ‘squishy’ rubber buttons for A and B on the controllers, much like the start and select buttons, and the action buttons on an early Game & Watch. 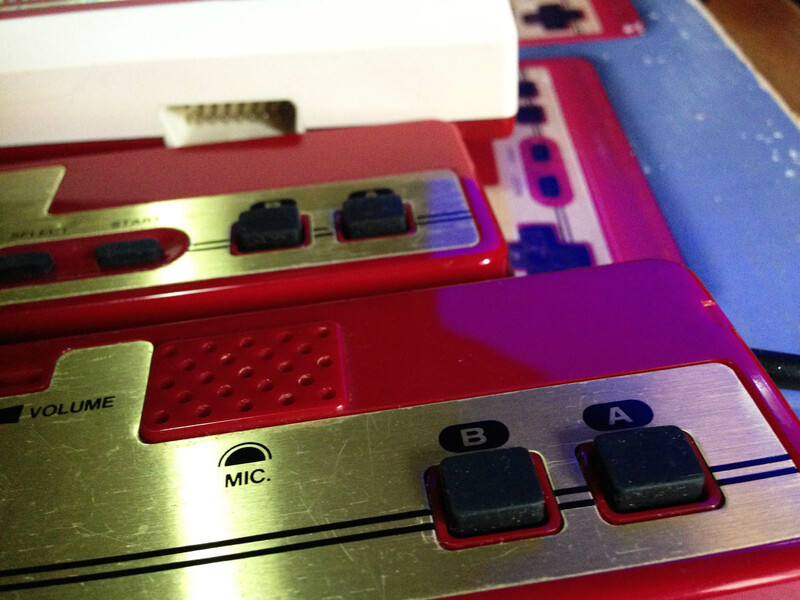 The other difference of note is a shiny finish on the bottom, compared to the textured finish of all later models. 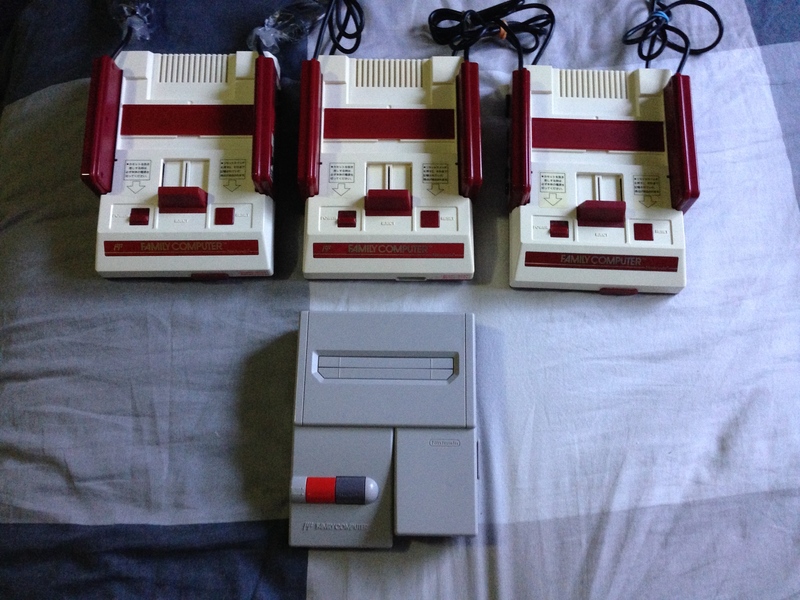 I’ve done some restoration and cleaning including a peroxide treatment, and it turns out after the yellowing is removed, the console itself is a slightly different colour to other Famicoms, it’s got a slight red tinge. 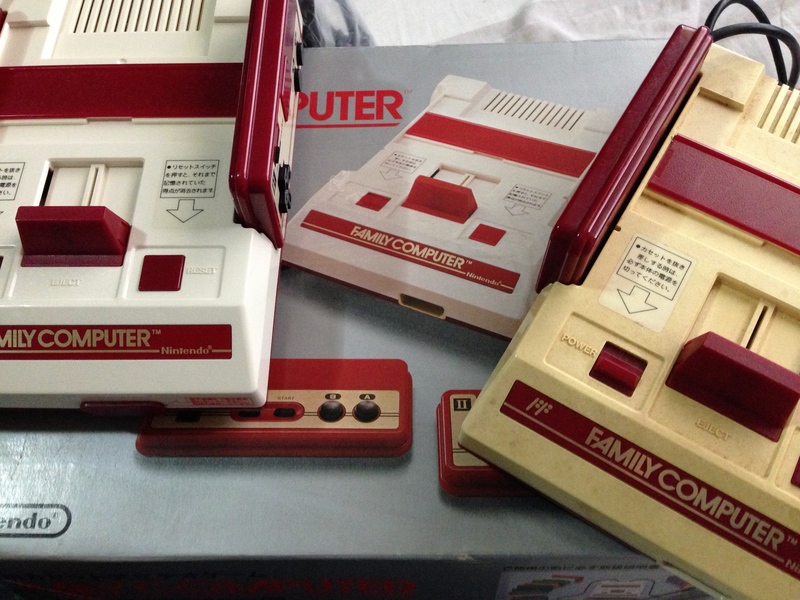 This solves the mystery of the reddish Famicom on the front of all Famicom boxes not matching the whiteness of later models – they changed the plastic around the time of the button change, but didn’t update the picture. 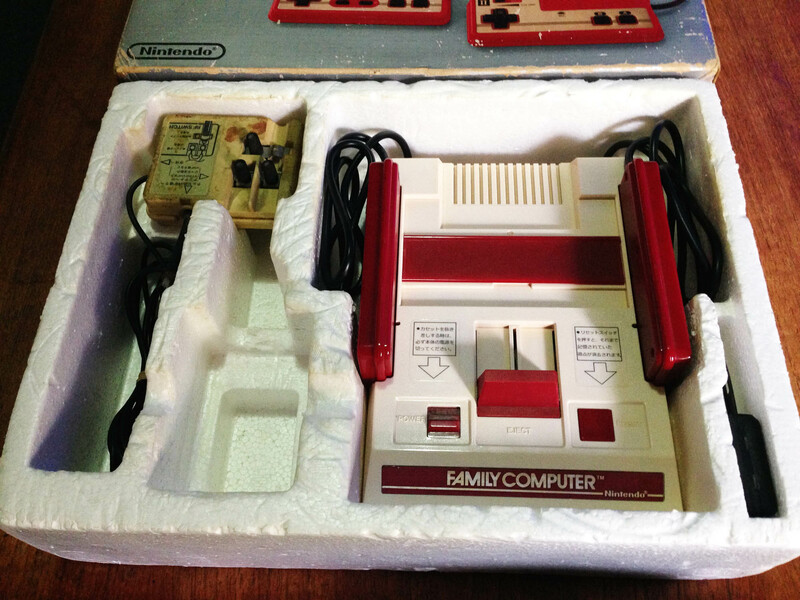 As far as I can tell, the early models didn’t feature an expansion port cover or arrow sticker on the front right – hence them not featuring on the box either. 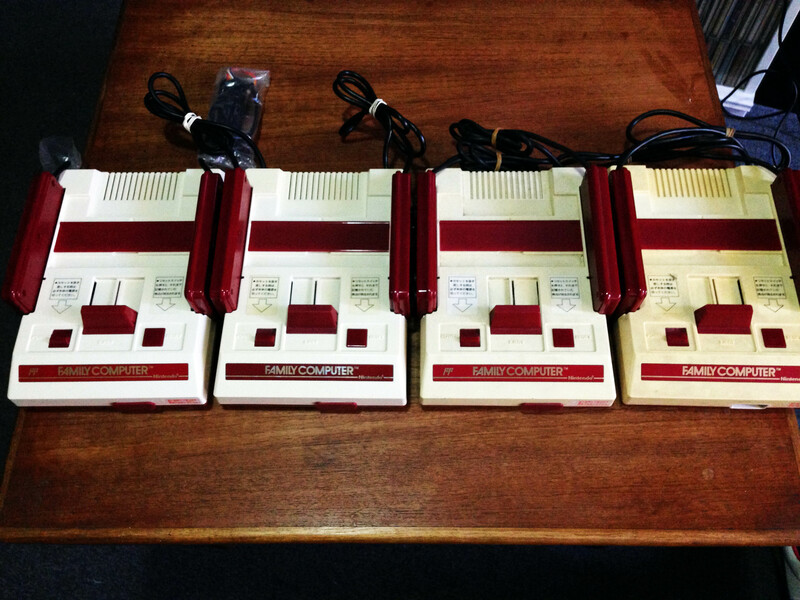 So these are not ‘missing’ here, they were never there. 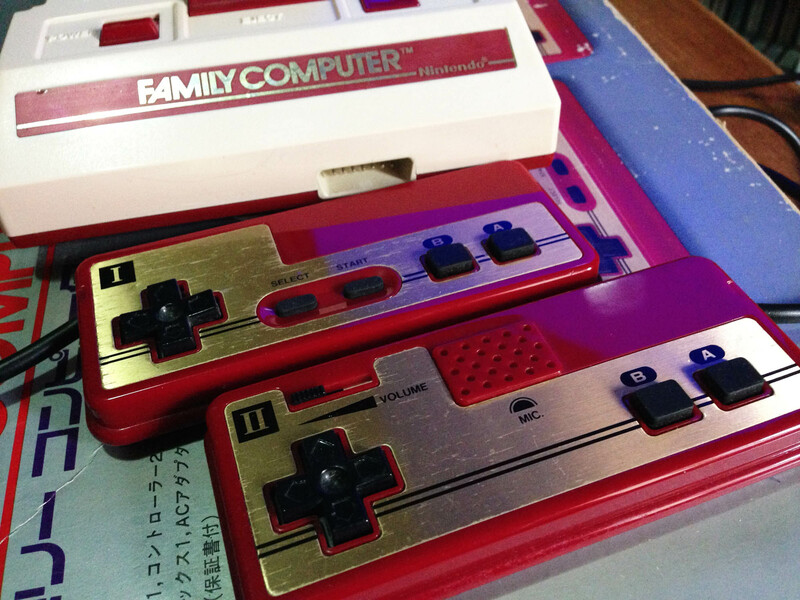 Nintendo recalled all early consoles because of a bug that could cause it to crash, and because the square squishy buttons damaged easily and could get caught on the corners. 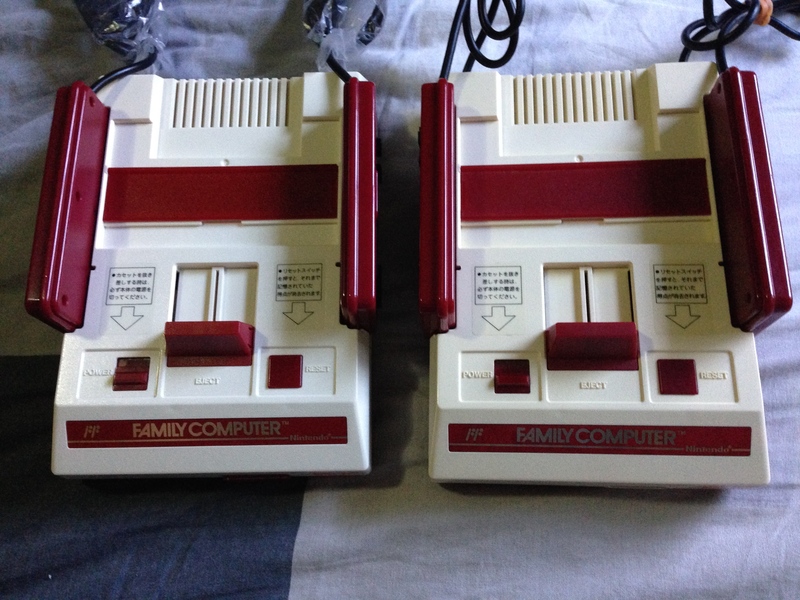 After playing a few games with these controllers for a few minutes, they’re quite solid, but definitely inferior as buttons the the hard round ones with membrane switch that replaced them (Nintendo also phased out this button style in later Game & Watch releases. 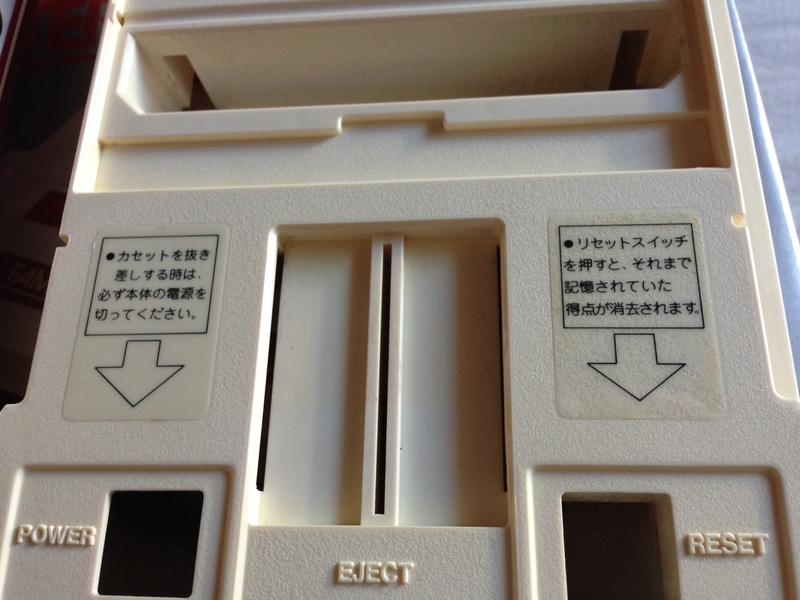 They have a long travel distance, and while they work fine for holding or pressing sporadically, if you have a game that requires hitting a button in quick succession (e.g. 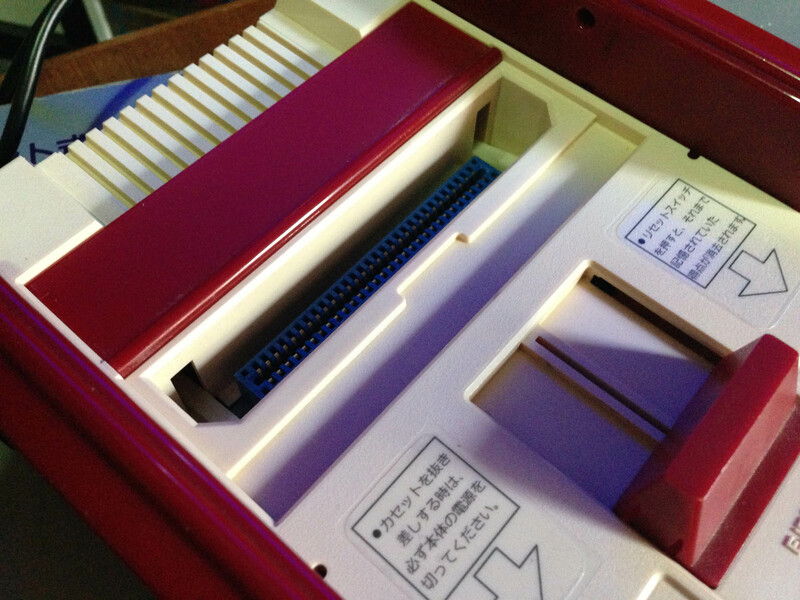 a beat em up), it feels ‘slow’ as you have to do a more substantial press each time. 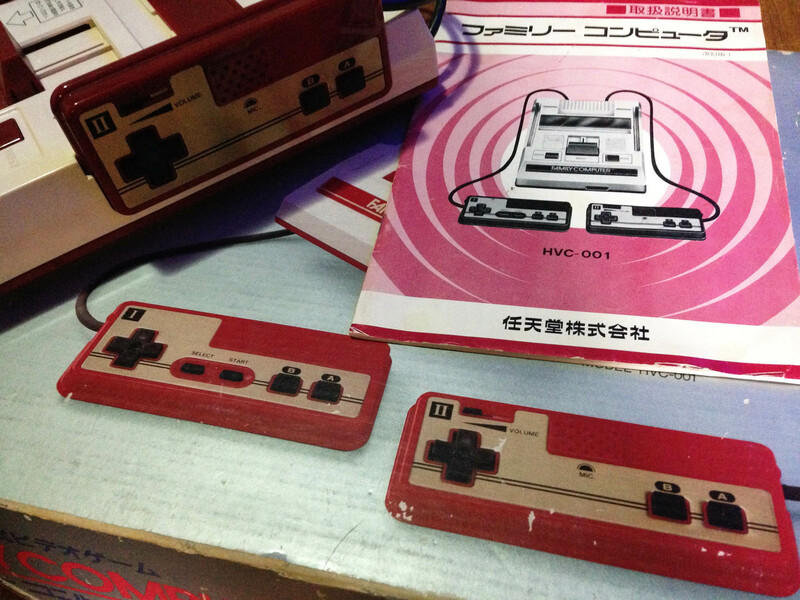 The manual has square buttons featured as well, so this set is all-original. 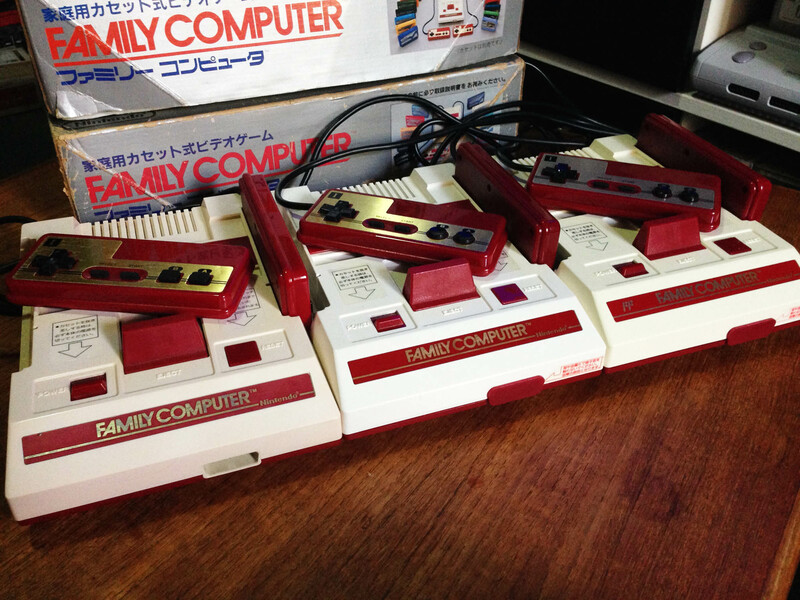 Here are the three generations of original Famiom. 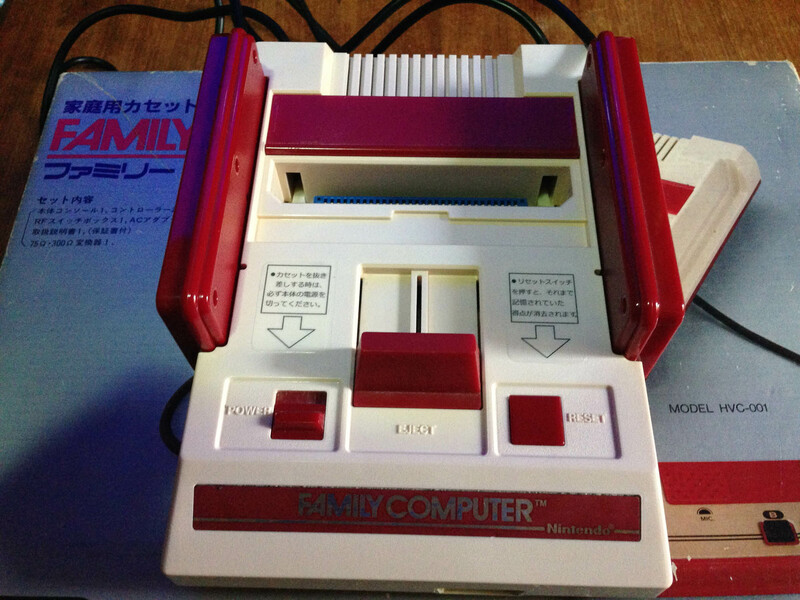 Square button, round button, and round button with Famicom Family ‘FF’ logo. 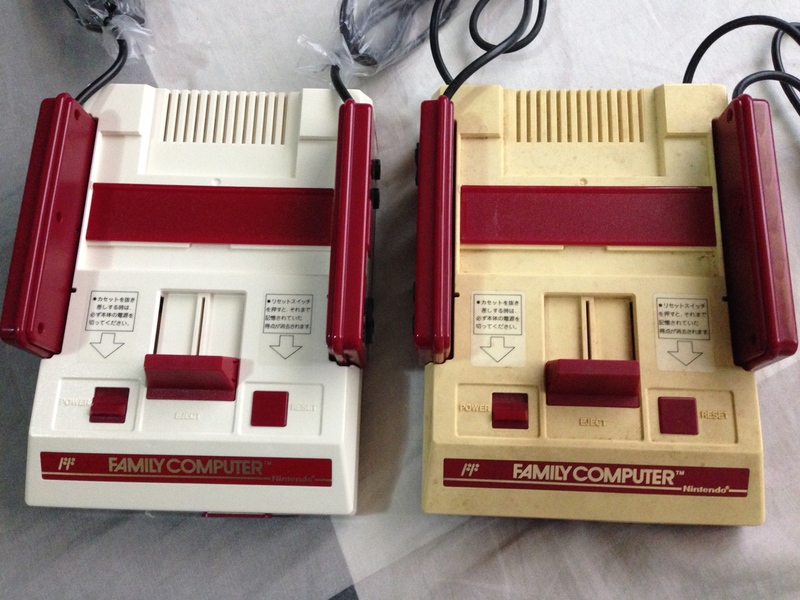 Note the slightly different colors of plastic, my second gen Famicom is the only one I would actually call ‘white’, it makes the ‘normal’ beige colour one on the right look yellow. 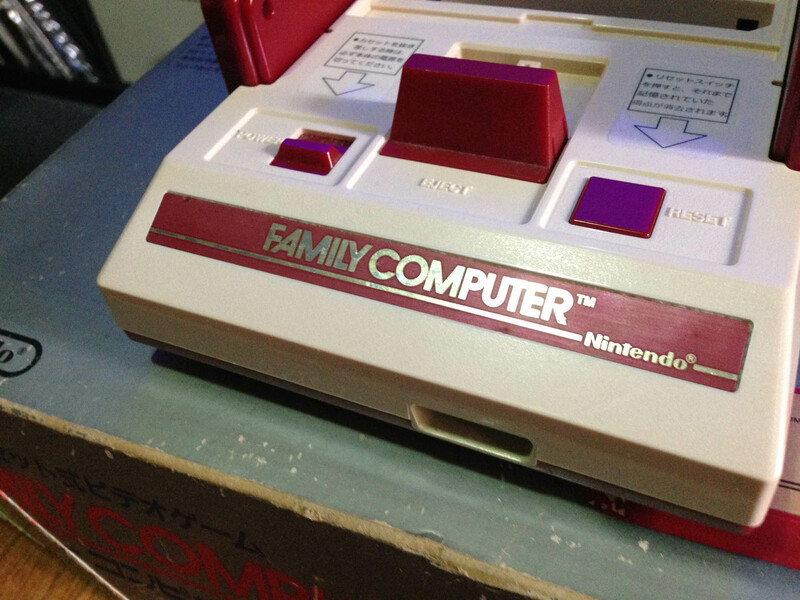 Intesrtingly the console box was never updated to feature the ‘FF’ logo. 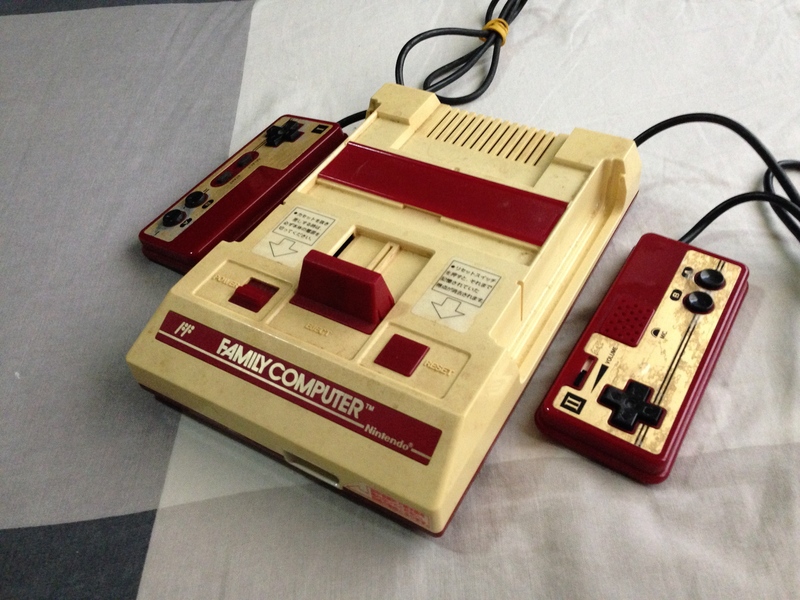 I bought another Famicom for super cheap on eBay. 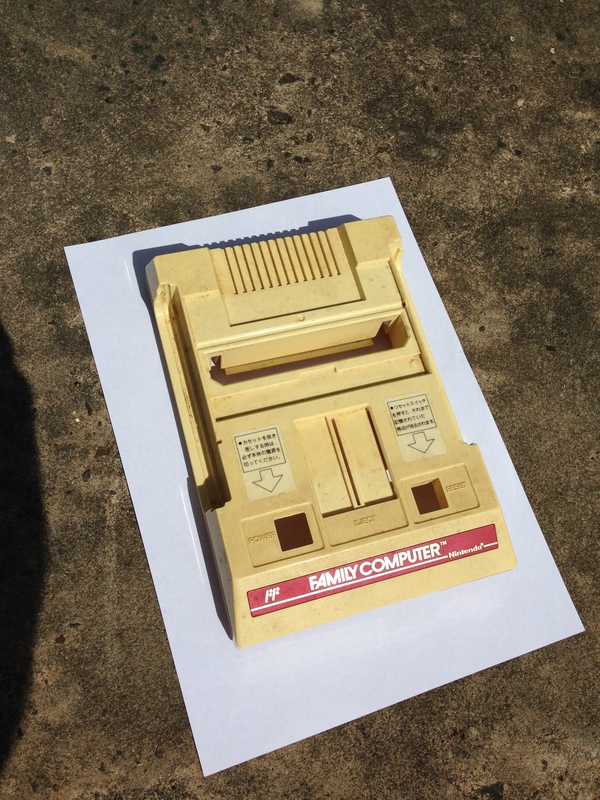 But it’s pretty grimy and yellowed, like most original Fami consoles. 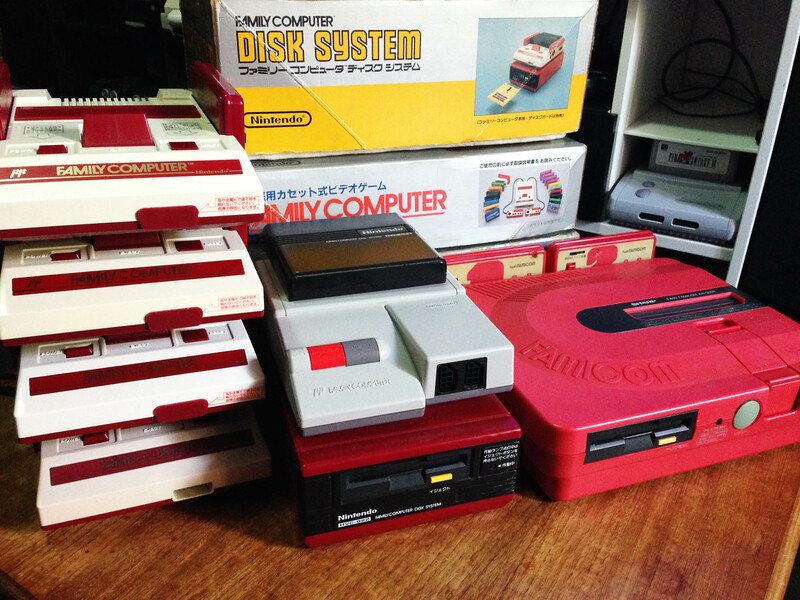 Here it is compared to my main original Famicom. 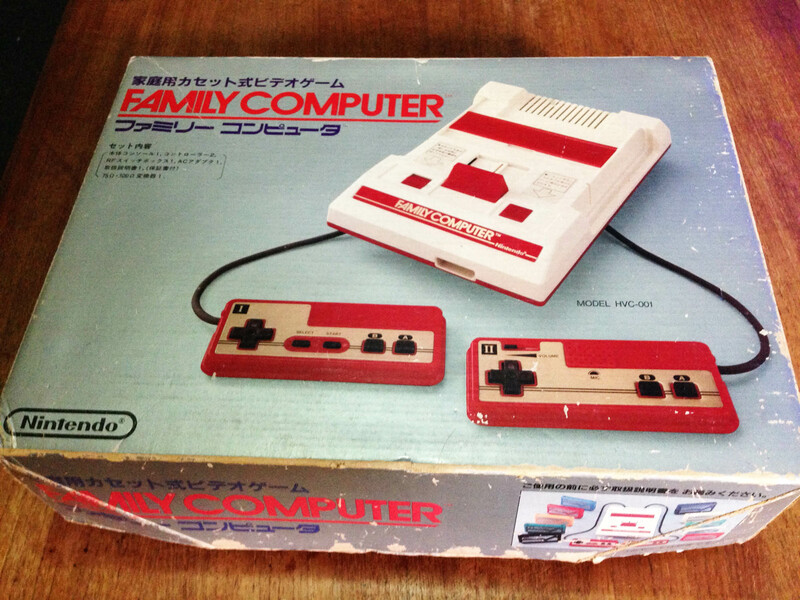 Comparing both to the picture on the box, my good Fami seems even whiter than expected! Time for another hydrogen peroxide session. 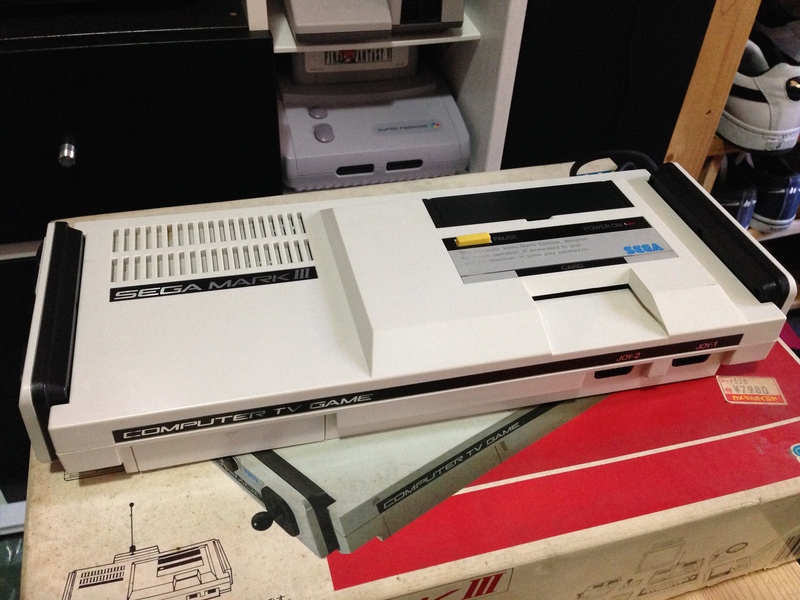 Leave the stickers and carefully lighten it just enough to match the yellowness under them. 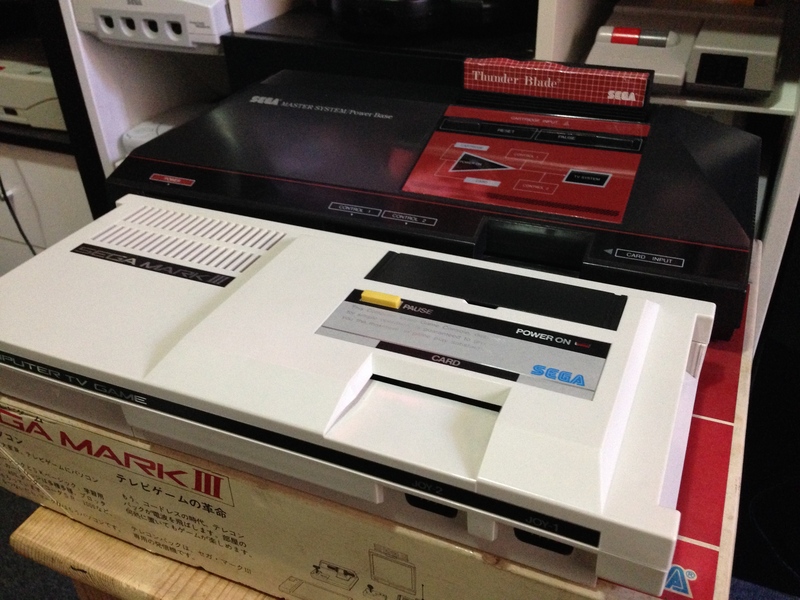 I’m choosing option 3 today. All stripped and ready to treat. 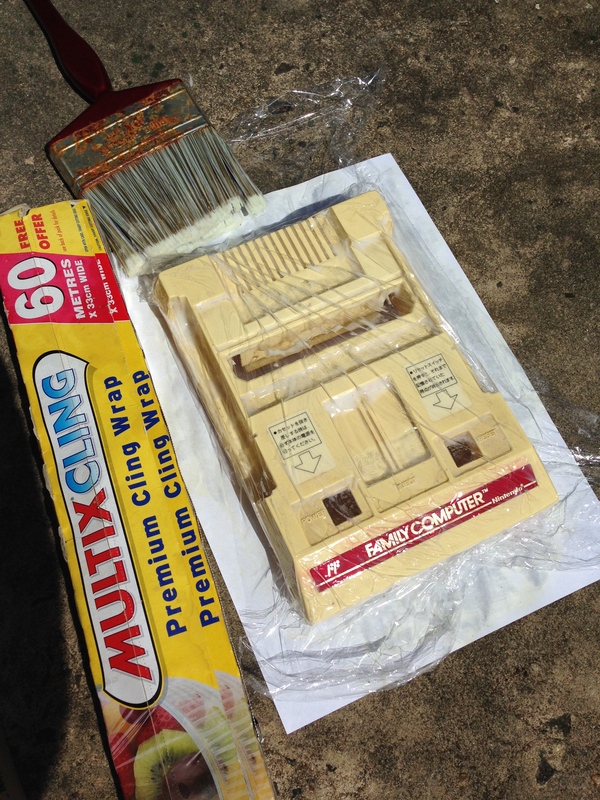 On goes the peroxide, with cling wrap to help it not dry out, as drying can cause scarring on the plastic. The Australian sun can be ruthless. Just 20 minutes later and almost done. 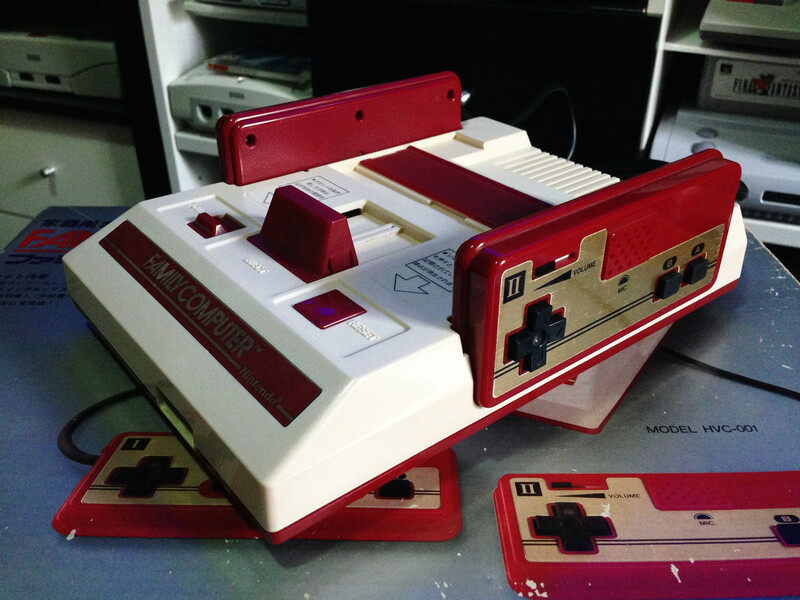 Just trying to match the under-sticker colour. Done, washed and dried. 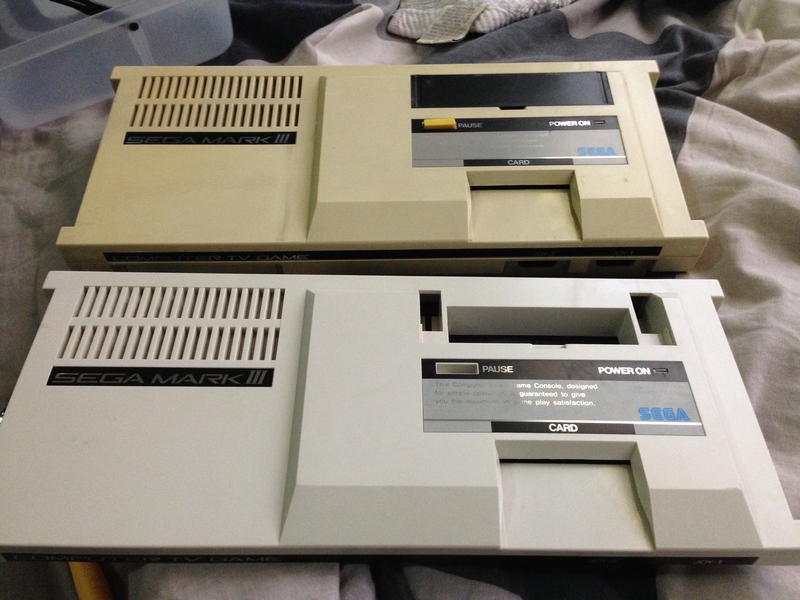 I could have gone whiter, but it’s now a pretty damn good match for the under-sticker colour, for a nice consistent tone. 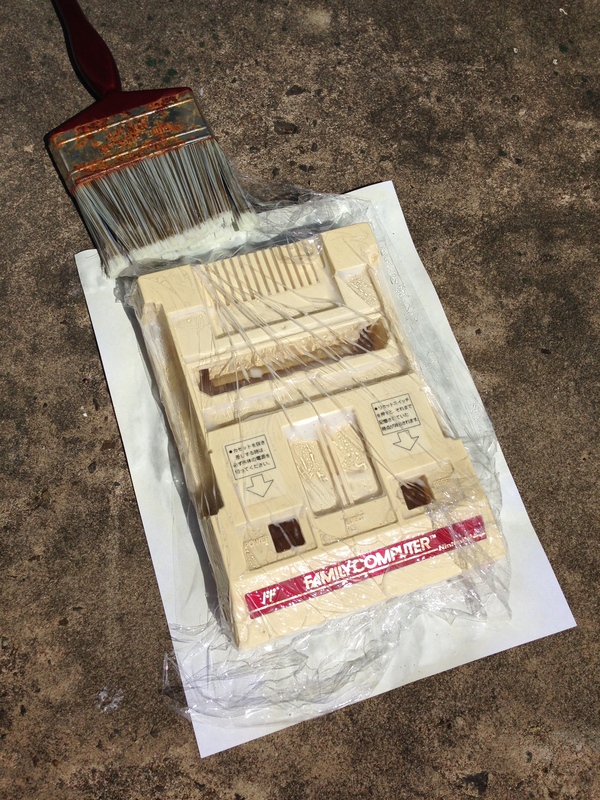 A bonus is that the peroxide also lifts the ingrained grime of filthy consoles like this one was! 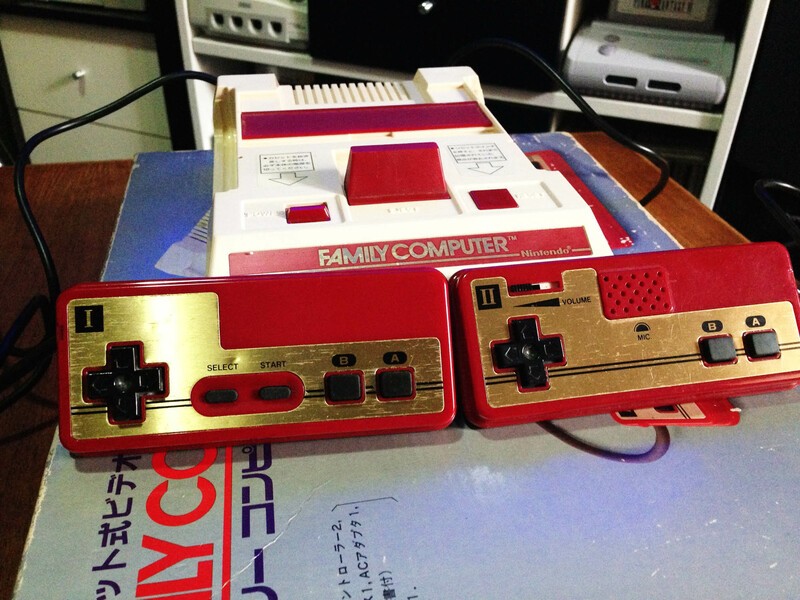 Reassembled next to my main Fami. Just slightly yellower now.